Yesterday, Google Open Source & Compatibility Program Manager Dan Morrill (his business cards have to be 10 feet long to fit that title) wrote a pretty interesting blog post over at the Android Developers blog, where he called the idea of fragmentation a ‘bogeyman’. He tries to diffuse a lot of the controversy that the idea of Android fragmentation has stirred up – indeed, it’s probably the biggest argument used against Android by its detractors. He doesn’t directly address the fact that there are still a lot of devices in the wild that are running legacy versions of the operating system, and are unable to take advantage of some of the new APIs the newer versions have introduced, but instead implies that it doesn’t necessarily matter anyways. As long as you update the AndroidManifest.xml with the features your app requires access to, it should only show up in the Marketplace on devices that can support those features. Compare these numbers to those made available on May 17th, where Android 2.1 was at 37.2% and 1.5 and 1.6 were at 34.1% and 28.0% respectively. We’ve seen a few devices that were stuck on 1.5 get the 2.1 update recently, namely the Sprint Hero, so that likely helped account for a decent chunk of 2.1’s gains. We’re quickly approaching the point where the number of handsets running 2.1 should outnumber the handsets running both 1.5 and 1.6 combined. Regarding 2.2, I’m sure, initially at least, we’ll see issues similar to those we’ve seen in the past with 1.5 and 1.6, but once the Android release schedule slows to once a year, I suspect this will become less and less of a problem. 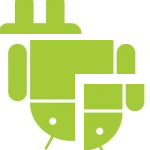 Dan Morrill goes into considerable detail regarding fragmentation over at the Android Developers blog here, so I suggest giving that a look if long and gory details are your thing.